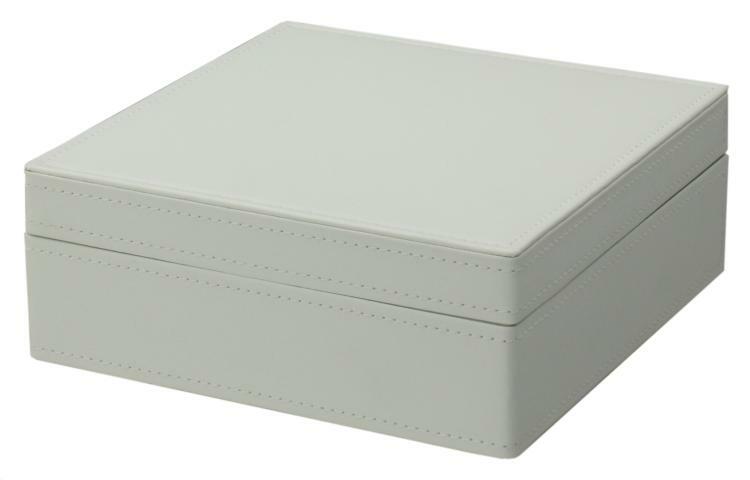 Elegant White-stitching Style with Velvet Tray. 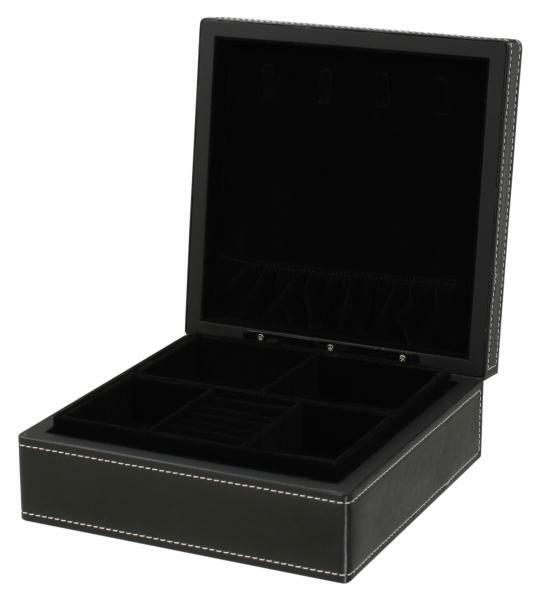 Two-Level Storage Design. 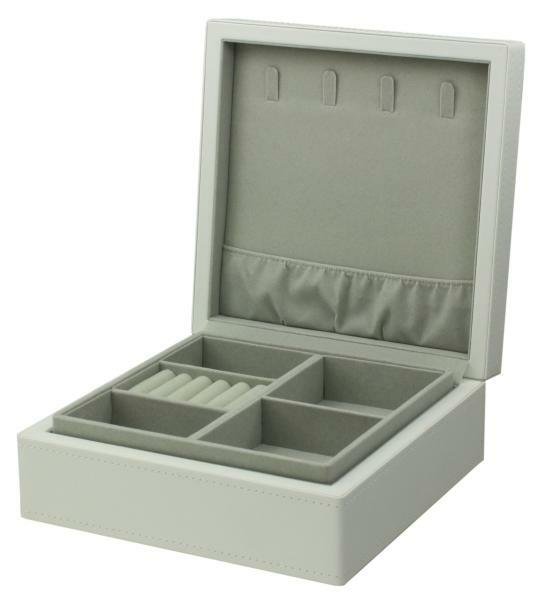 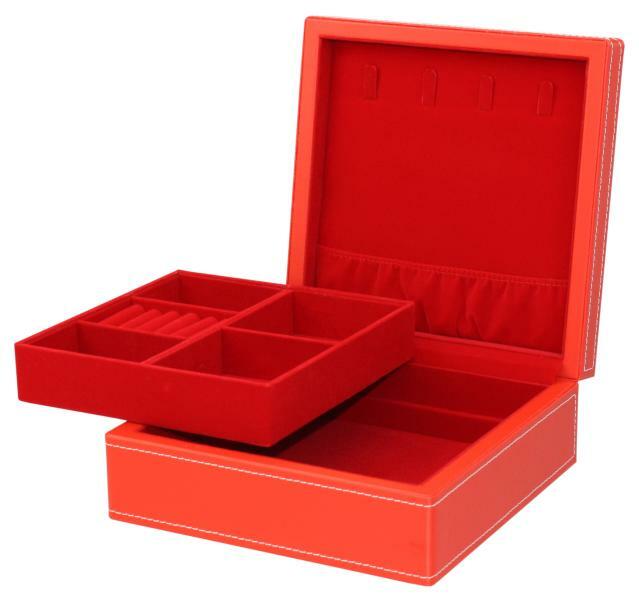 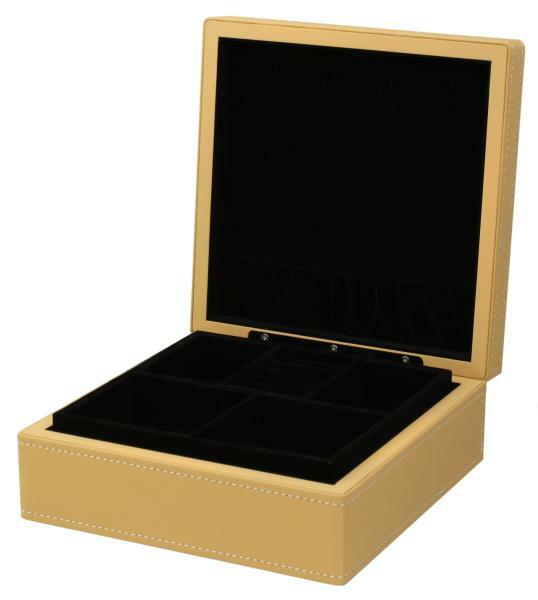 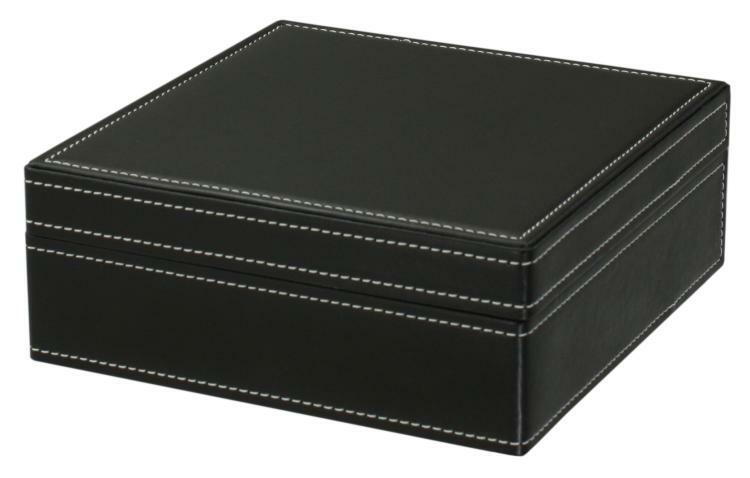 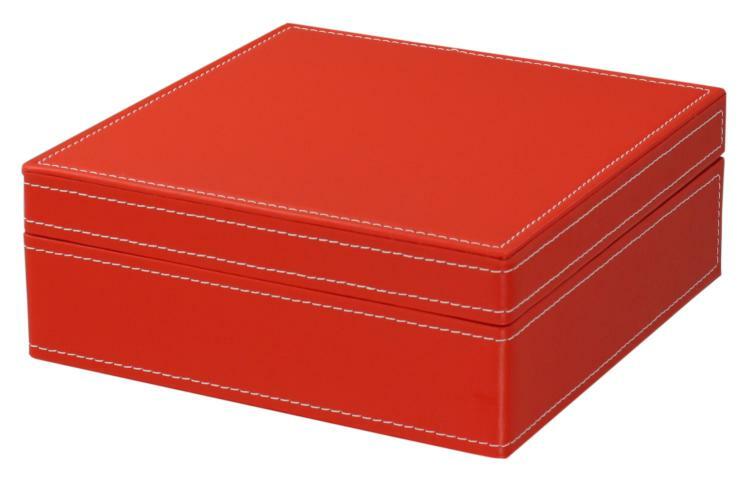 Removable Tray with Various-sized Compartments; Special Easy-insert Compartment for Rings. 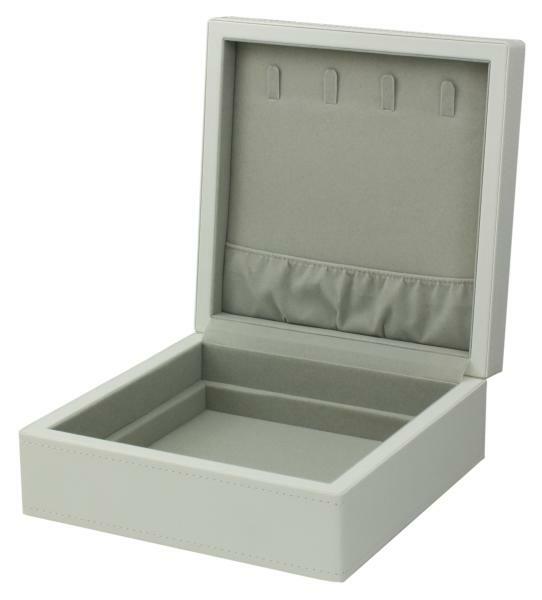 Reach the Bottom Level by Removing the Top Tray.